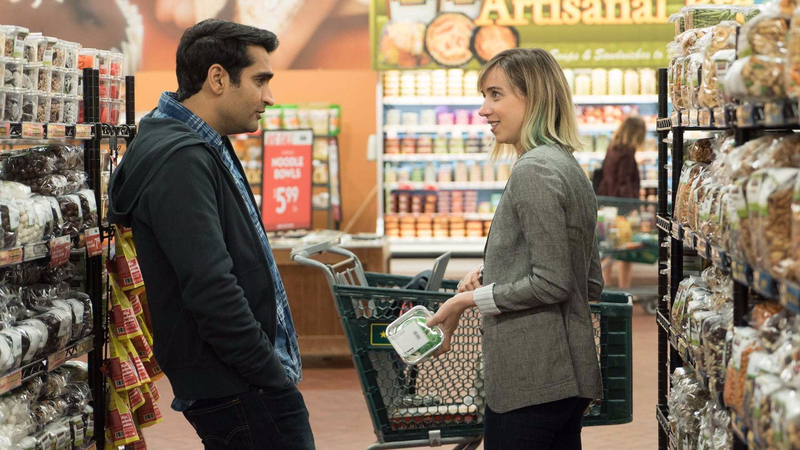 Starring Kumail Nanjiani and Zoe Kazan, The Big Sick is that rarest of things: a funny and smart romantic comedy that is actually about something and is good enough to make you care for its characters. The move from television comedy to big screen exposure is fraught with danger. For every Will Ferrell – Zoolander, Anchorman – there’s a Will Ferrell – Zoolander 2, Anchorman 2. Nanjiani made his name in stand up and as a stand-out presence in HBO’s Silicon Valley, as well as appearing in a number of films. With The Big Sick, Nanjiani and co-writer real life partner Emily V. Gordon have created an autobiographical rom-com that is a rare combination of sharp observation and warmhearted sentiment. Kumail is a struggling comedian making his way in the stand-up scene in Chicago as he moonlights as an Uber driver to make ends meet. He meets Emily (Kazan) as a boisterous audience member and a tentative romance ensues. Neither of them are particularly keen to commit: she, it turns out, has been married already and Kumail must contend with his traditional Muslim parents who insist on him marrying a girl they will arrange. Whenever he goes for dinner, a young woman is always bound to “just drop by”, much to his mother’s (Zenobia Shroff) poorly acted surprise. As his relationship with Emily becomes serious, Kumail is increasingly caught between two worlds, certain that if his parents ever found out about her he would be ostracised from the family. Obviously, Emily is none-too-pleased when she realises that Kumail has no intention of taking their relationship further. With their relationship in a terminal breakdown, Emily is struck down by a life-threatening illness: the ‘big sick’ of the title. As the next best thing to a ‘significant other’, it is Kumail who must make some frightening decisions and then deal with Emily’s parents – played by Holly Hunter and Ray Romano – who are aware of their break up and look with some hostility on Kumail. Executive produced by Judd Apatow and directed by Michael Showalter, The Big Sick isn’t afraid of going into adult territory emotionally, rather than the more simplistic adolescent fun of gross out. There’s a rambling looseness to the film, reminiscent of mid-career Woody Allen. The stand-up comedy scene gets a light roasting with real life stand ups Bo Burnam and Aidy Bryant vying with Kumail for a vaunted spot in the Just For Laughs festival and bitching about club owners and each other’s material. The culture clash comedy that the film could have been is satirised in Kumail’s one man show, a yawn fest seeking to educate everyone about his roots. In some ways, the film is as much about his evolution as a comic as it is about his relationship with Emily. His amassing of pop cultural references, nerdish passions – he tries to bond with Emily over his love of cult horror movies – and his struggle to both retain and adapt his identity see him mature a style throughout the film. It is indicative of his confidence as a performer that he allows – especially in the second half of the film – Romano and Hunter to essentially take over as main characters. They turn from simply ‘the parents’ to actual people, who have gone through similar romantic travails to their children. It is only a pity that we don’t get to see as much of Kumail’s parents (Anupam Kher and Shroff), beyond their slowly melting intransigence.